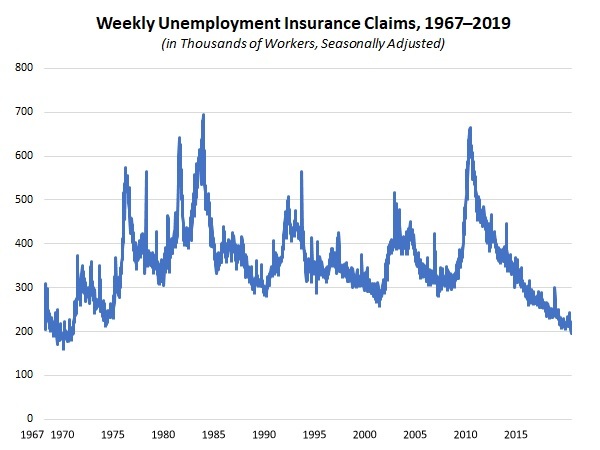 Initial unemployment insurance claims fell from 204,000 for the week ending on March 30 to 196,000 for the week ending on April 6. This was the lowest level since October 4, 1969, yet another sign that employment data remain at historic lows. Job openings in the manufacturing sector increased from 458,000 in January to 477,000 in February. Over the past 12 months, manufacturing job openings have been solid, averaging nearly 471,000 per month over that time frame but off somewhat from the all-time high set in July (501,000). The labor market remained very tight. Despite some easing in nonfarm job openings in February, there were more job openings in the U.S. economy (7,087,000) than the number of people looking for work (6,235,000) for the 13th straight month. With these data points in mind, manufacturers continue to report difficulties in finding talent as their top concern. The National Federation of Independent Business reported that the Small Business Optimism Index inched slightly higher, up from 101.7 in February to 101.8 in March. The percentage of small business owners saying they had job openings in March was 39 percent, matching the all-time high set in December, and workforce challenges remained the top “single most important problem” for the 13th straight month. At the same time, new orders for manufactured goods fell 0.5 percent in February. With that said, there was a significant decrease in the highly volatile nondefense aircraft and parts segment. Excluding transportation equipment, factory orders rose 0.3 percent in February. Overall, factory orders increased a modest 1.8 percent year-over-year, but with a more solid 3.3 percent rise since February 2018 with transportation equipment excluded. Meanwhile, higher energy costs led to increases in consumer and producer prices in March. Yet, pricing pressures have stabilized since mid-2018, which is welcome news for manufacturers. For example, core producer prices have grown 2.0 percent year-over-year, the slowest pace since August 2017. Similarly, core inflation for consumers also inched down to the slowest rate since February 2018 at 2.0 percent year-over-year. The moderation of input cost growth has provided some flexibility to the Federal Reserve, allowing it to pause on future rate hikes until it sees stronger economic conditions warrant further actions.